The map shows the full length of the track and access points. More than 30,000 people walk all or parts of the Queen Charlotte Track each year. This new edition shows the boundaries of Parks and Reserves. 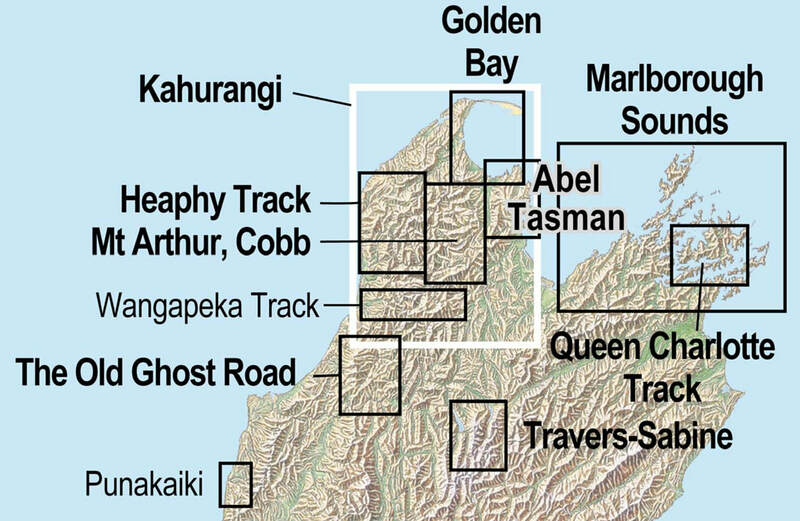 The limited roading and few settlements in this part of the Marlborough Sounds are also shown. The combination of contours and relief shading give a realistic landform.